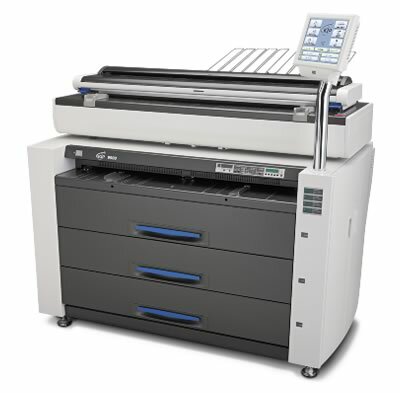 When you’re looking for a commercial printer that goes above and beyond, look no farther than the range of Kip plotter sales Atlanta has to offer right here with us. KIP plotters are well-known for their advanced features, especially the advanced-chart drawing capabilities. These machines are surprisingly affordable considering their extensive offerings. The software makes it easy to plot everything you need with an intuitive interface. We are officially authorized to sell KIP plotters and include warranties and service contracts to back up our sales. Our technicians have the experience and knowledge to sell and service KIP plotters with training directly from KIP. We can also optimize your machine to ensure the settings are suited to your specific needs for the best user experience. We offer plenty of advice and support for all equipment that we sell. We stand behind all of the KIP equipment that we sell. Electrical components can still malfunction and need to be replaced or repaired after being used for a while. We work with other companies in the country to provide service, support, and warranties to anyone who purchases a KIP plotter from us. Our warranties include service calls for when you’re on-the-job or the repair of defective and broken equipment at our facility. We offer many different plans to support your needs. The different plans are designed to support your budget regardless of how large or small it is for printer maintenance and repair. We offer support for KIP plotters at our repair shop and, if it is more convenient for you, right at your job site. It’s much more economical to repair equipment when it breaks instead of outright replacing it.